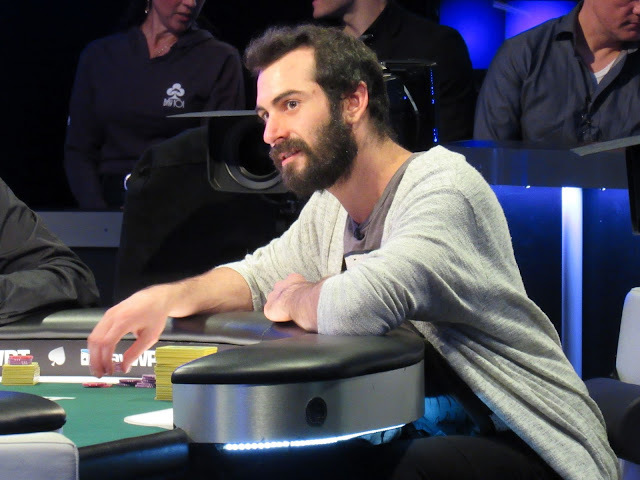 On a [Kh][9h][2h] flop, Anthony Spinella is all in with [Jh][3h] against Chino Rheem's [Ah][8c]. Anthony flopped a flush and needs to hold against Chino's nut flush draw. The turn [9c] and river [Js] keep Anthony's flush in front, and he will double up to just under 8 million.